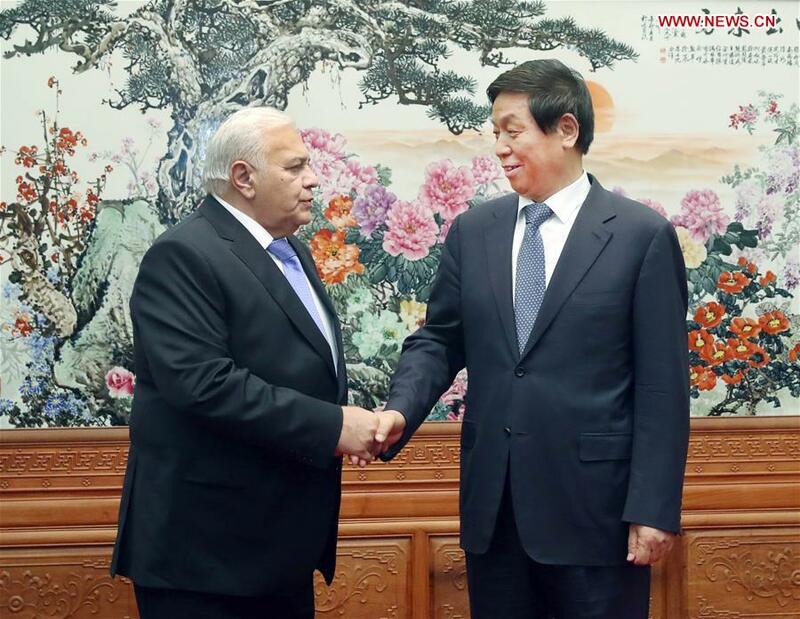 BEIJING, June 20 (Xinhua) -- Li Zhanshu, chairman of the Standing Committee of the National People's Congress (NPC), held talks with Speaker of the National Assembly of Azerbaijan Ogtay Asadov in Beijing on Wednesday. When talking about China-Azerbaijan cooperation under the framework of the Belt and Road Initiative, Li said China is willing to follow the principle of achieving shared growth through discussion and collaboration, and carry out closer cooperation with Azerbaijan in areas where the two sides have complementary advantages. China will stick to its opening-up policy to promote the building of a community with a shared future for humanity, and share development opportunities with all countries in the world, Li said. "The NPC attaches importance to its ties with the National Assembly of Azerbaijan," Li said, calling on both sides to implement the consensus reached by the two countries' leaders and make sure that bilateral trade and investment will be protected by law. He expressed the hope that the NPC and the National Assembly of Azerbaijan will increase exchanges at various levels, share governance experience, and support cooperation in education, youth exchanges and tourism. Asadov said Azerbaijan, one of the first countries to support the Belt and Road Initiative, expects more pragmatic cooperation with China to benefit the people of the two countries. He added that the National Assembly of Azerbaijan is willing to contribute more to the friendly relations between the two countries.